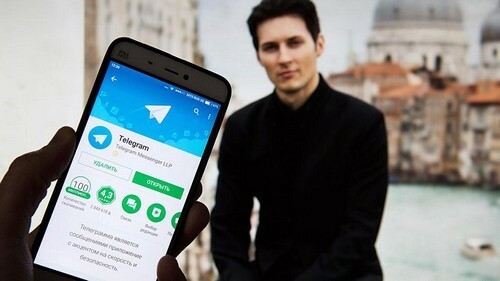 Pavel Durov, the founder of the popular Telegram messaging service, has pledged millions of dollars to fund tools that would allow users to sidestep new Internet restrictions imposed by the Russian government. Russian Internet providers began to block access to Telegram on Monday following a court decision last week ruling to block the app over its refusal to provide the security services with keys to decrypt private conversations. The number of Internet Protocol (IP) addresses that have been blocked in Russia since the move has ballooned to 17 million by mid-Tuesday, from 2 million earlier in the day. “For the last 24 hours Telegram has been under a ban by internet providers in Russia,” Durov wrote in an address on his Telegram channel. “Despite the ban, we haven’t seen a significant drop in user engagement so far, since Russians tend to bypass the ban with VPNs and proxies,” he added. The application’s founder pledged “millions of dollars this year” in bitcoin grants to support individuals and companies who “support internet freedoms in Russia and elsewhere” by providing proxies and VPN services to users. “We promised our users 100 percent privacy and would rather cease to exist than violate this promise,” he wrote.